This item has been downloaded 190 times. Recommended for use with the Mountain Rail Scenery (for Poser) product. 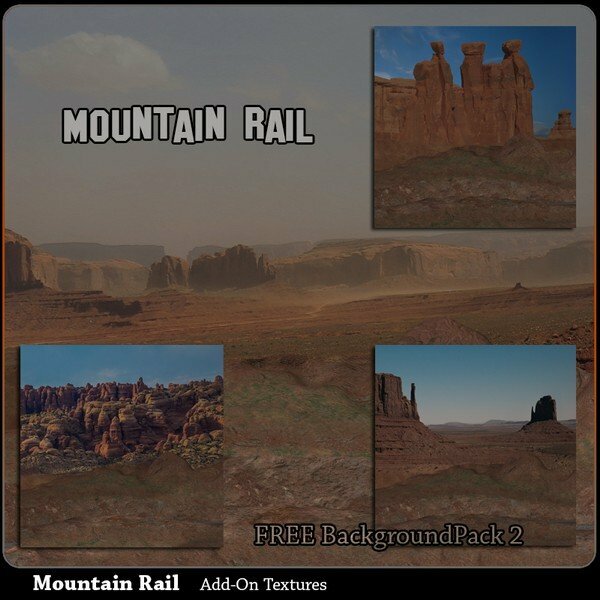 Four FREE High Resolution Backgrounds for use with the Mountain Rail Scenery.